POWERFUL AND CUSTOMIZABLE IMAGE PROCESSING AND ANALYSIS SOFTWARE. 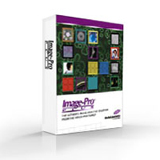 Media Cybernetics also now offers Image-Pro Premier software. Learn more about this new software that offers 64-bit support, streaming to disk, new and improved ways to automatically segment, classify, and measure objects, graphical macro development tools and more. 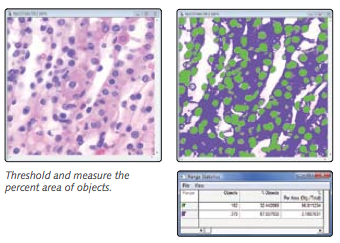 Ask us if Image-Pro Plus image analysis software is right for your application! 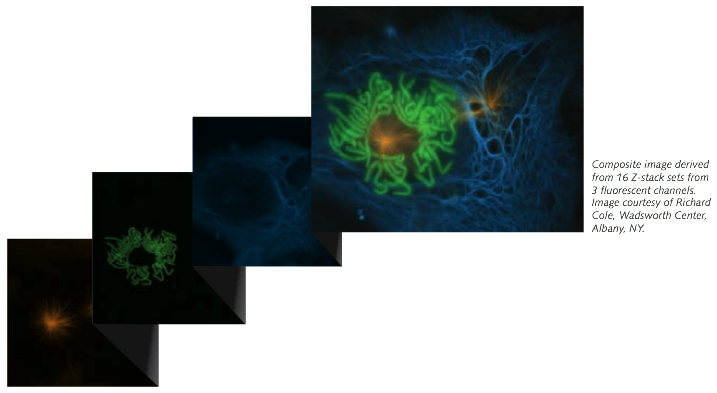 Image-Pro Plus combines the latest tools for scientific image analysis into one intuitive software package. Reflecting over 20 years of development, evolution, and user feedback, Image-Pro Plus accelerates discovery and includes the tools you need to easily acquire, enhance, process, measure, and share your images. Accurate image analysis begins with acquisition. Utilize the full precision of your capture equipment with easy-to-use capture tools. Image-Pro Plus supports a wide range of digital cameras, image capture cards, and other devices. 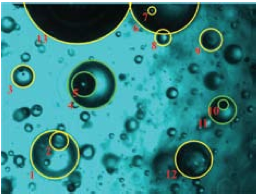 Control complex microscopy equipment in a simple, repeatable manner for reproducible results. Automatically control your microscope stage in any X, Y, or Z direction and eliminate the need to manually adjust microscope settings. Automate and manage all combinations of image acquisition modes and image sets including time, channel (wavelength), focus (z-stack), and stage position. Investigate changes in live specimens over time by acquiring images at predefined intervals. Play your time lapse images as a movie to view movement and other activities. Analyze samples live, without the need to acquire an image. The Workspace Preview feature makes it easy to count objects, apply measurements and interact with online images. The optional Live Tiling and Live Extended Depth of Field tools make it easy to tile large images and perform EDF operations live – while acquiring your images. 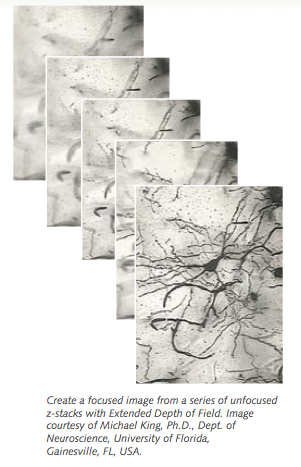 Tile together a series of images or align sequence images to see a full representation of your research sample. Use Extended Depth of Field to create a focused image from a series of unfocused images. Choose from a variety of enhancement and edge filters to filter noise and improve image detail. Use built-in deconvolution features to remove haze and retrieve better data from your images. Count and characterize objects using over fifty manual and automatic measurements tools including areas, perimeters, lengths, roundness, major and minor axes, angles, centroids, holes, and population density. Tag objects of interest and easily sort by size or other measurement parameters. Extract quantifiable data from your images using a variety of measurement options. Metrology tools allow you to measure best-fit line, arc, and circle. Detect edges and derive distance measurements using the Caliper tool. Calibrate and measure the intensity levels within your images. Explore the depth of your images by visualizing and interacting with them in three dimensions. Measure angles, distances, and volumes to gain a more complete understanding of your specimens. 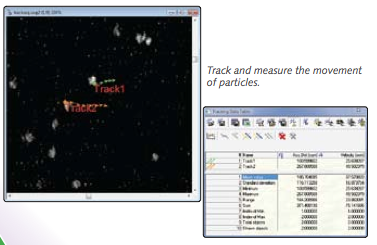 4D Tracking – Track and measure the movement of individual objects in a 4D sequence. 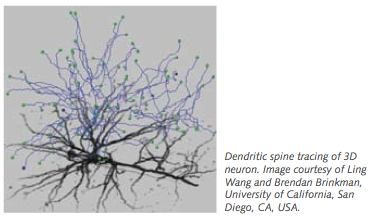 Neuron Tracing – Visualize and count the number of branches in a neuron as well as the length and volume of each branch. Create beautifully illuminated 3D visualizations of your image stacks with the optional 3D Surface Inspector. Explore the depth of your z-stacks with manual measurements and easily create AVI animations. Easily convert sequence files and 3D rendered images to AVI files. Image-Pro Plus includes a variety of features that allow you to alter the application to fit your workflow. Create a personalized Workflow Toolbar with buttons for your most frequently used tools. Automatically convert your application to Dark Mode for low-light laboratory environments. Image-Pro Plus offers convenient customization tools and a built-in programming language to streamline your imaging research. Save frequently performed operations using the Macro Recording tools and easily edit macros. Use the time-saving macros included in Image-Pro Plus or download macros from the user-contributed Solutions Zone section of our the website – www.mediacy.com. For more advanced customization, Image-Pro Plus’ built- in IP Basic programming engine offers a debugger, full editor, and dialog builder. Use with COM objects such as Microsoft® Word® or Excel®, and integrate and customize macros with Microsoft Visual Basic or Visual C++. are new to Image-Pro Plus or you are an experienced imaging professional, our courses are designed to help you make optimum use of the latest imaging software techniques. When you register your copy of Image-Pro Plus, you are entitled to 90 days of support through our Technical Support Program. Receive installation and configuration troubleshooting from our Technical Support Engineers via phone or email. Extend your technical support beyond 90 days to receive expert support year-round. Ask us if Image Pro Plus is right for your application!